Seasoning for Soups "Magiya Vostoka" buy for 0.7900 in store RussianTable with delivery. 15 g Salt, onion, sweet paprika, sugar, celery root, carrots, black peper, ground fennel, ground parsley, ground marjoram. 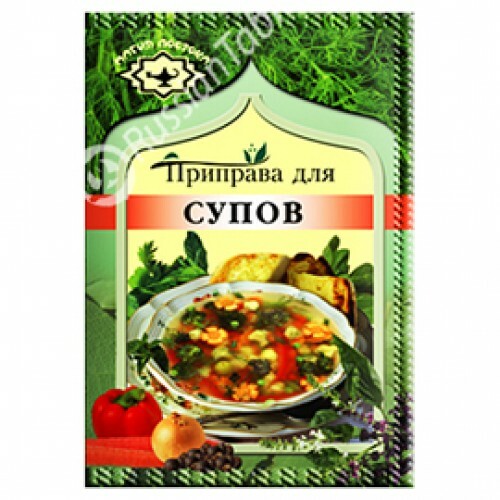 Do you have any questions about Seasoning for Soups "Magiya Vostoka"?